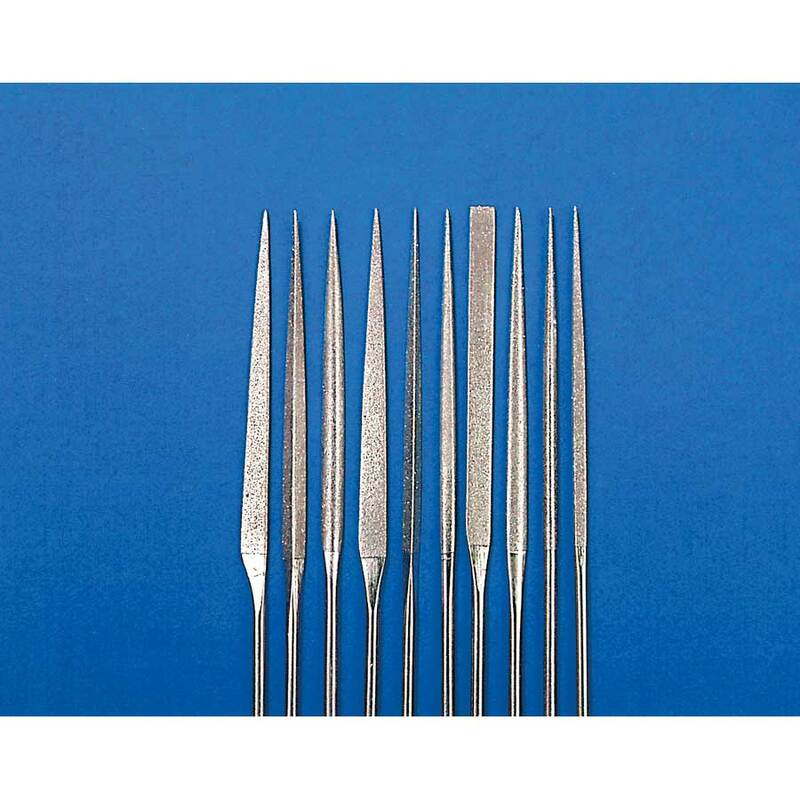 Diamond Needle File Set includes 10 assorted shapes. Medium grit. 5-3/4 inches long.